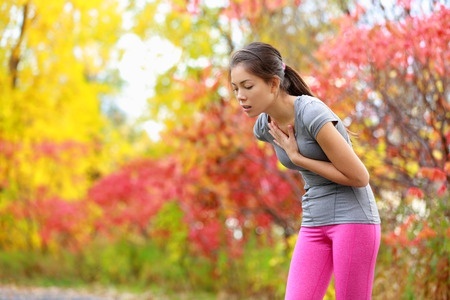 Are you suffering severe chronic or acute pain in your ribs? Was it brought on by an impact, coughing, weight-training or years of slouched posture at a computer. 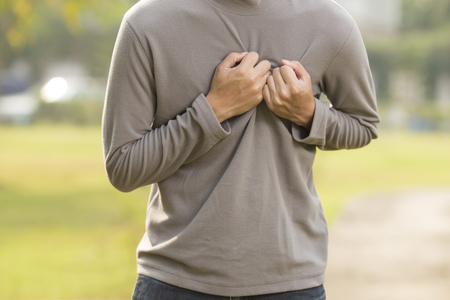 Does the pain spread from your breastbone throughout your chest, between your ribs and under your breast? Is there pain on touching or pressure on your ribs as well as with breathing, twisting movements or turning over in bed? Have you been told that “it’s muscular or stress” and been prescribed drugs like muscle relaxers, gabapentin, amitryptalline or other addictive codeine, morphine-based drugs which minimally reduce pain but make you feel miserable, tired and low? Severe referred rib pain to the side and front of your chest can be caused by nerve and muscle inflammation at the facet joints of your middle-back, rhomboid muscles or ligaments between your shoulder blades or from nerves in your lower neck or mid-back. It can be aggravated by breathing in, forced inspiration, coughing, lifting, twisting or side-bending of the neck or mid-back spine and ribcage. ● Poor posture with stiff rounded middle back from slumped computer posture. Dr. Jason Taylor has safely and effectively treated many causes of rib pain and offers many treatments specific for this condition. Rib pain most often follows years of poor, rounded posture where the middle thoracic spine becomes rounded (kyphotic) with the chest dropping vertically from slouching at desks, laptops and sofas. This kyphotic, rounded posture has become “normal” in the last 10 years due to laptops, iPads and nearly everybody sitting badly all day working at computers. People typically try to ”stand up straight” by pushing their shoulder blades up and back and poking or jutting their chins up and forward. This not only looks completely ridiculous but loads huge strain into the supporting muscles and ligaments which hold up your head and worsens muscle and joint pain in the middle-back, chest and neck. Scoliosis or sideways spinal curvature further aggravates these stresses and pain. When rib pain becomes chronic, recurring and longterm, treatment with painkillers, anti-inflammatory drugs (NSAIDs) or steroid injections into spinal joints is short-term, of very limited help and with potential side-effects. Our rib and chest pain painless treatment helps you to long-lasting postural improvement, better spinal function, better breathing and fitness.